Darren Sproles is listed as a running back and has spent his entire career at that position. But he has worked at times this summer at slot receiver, and the 11-year veteran has welcomed the additional duties. One way Sproles’ role could expand this year while trying to increase his offensive production is mixing in with the receivers, Zach Berman of the Phildelphia Inquirer reports. 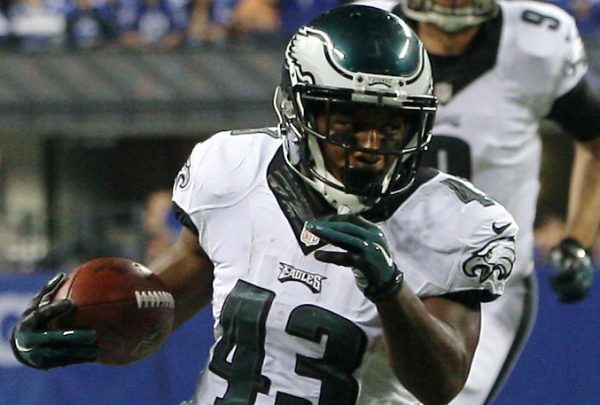 Sproles played only 29 percent of the team’s offensive snaps last season. He totaled 716 yards from scrimmage, which were his fewest since 2010. He finished with 40 catches, which were his fewest since 2008. Sproles made his first Pro Bowl because of his special-teams production, but he was not the offensive weapon that his skill set suggests. That was especially the case in the second half of the season, when he netted just 244 offensive yards. Kelly said during the spring that he wants Sproles on the field more in 2015. Sproles spoke with Kelly this offseason about his role in the offense. He is encouraged by the possibilities. Sproles is 32 and among the five oldest running backs still on an NFL roster. He has been in NFL since 2005, is coming off his first Pro Bowl season, and laughs at the question of whether he hears the clock ticking on his career.